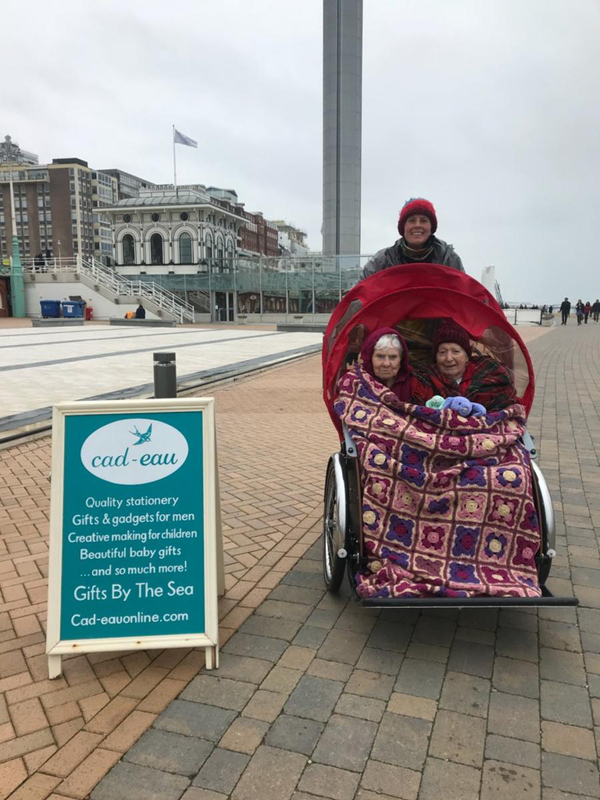 If, like me, you’re a Brighton resident and often take a stroll along the seafront, you may have seen some curious looking cycles with two elderly people riding upfront as passengers. 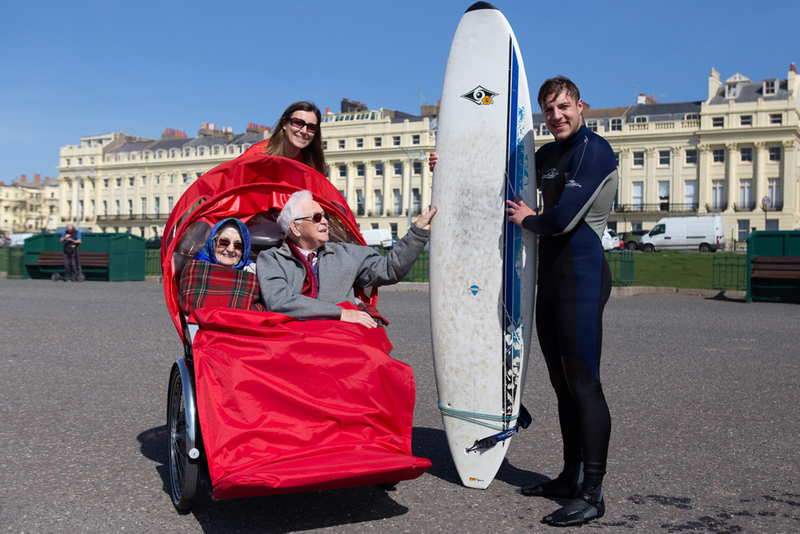 All part of Cycling Without Age, a charity whose volunteers take local care home residents out for some sea air safely tucked up in one of their ‘trishaws’. These fabulous cycles are built with a three wheel frame complete with double passenger cab at the front. This amazing charity is a beautiful example of care in the community and these lovely volunteers give up their time in order to put something back into their local area. 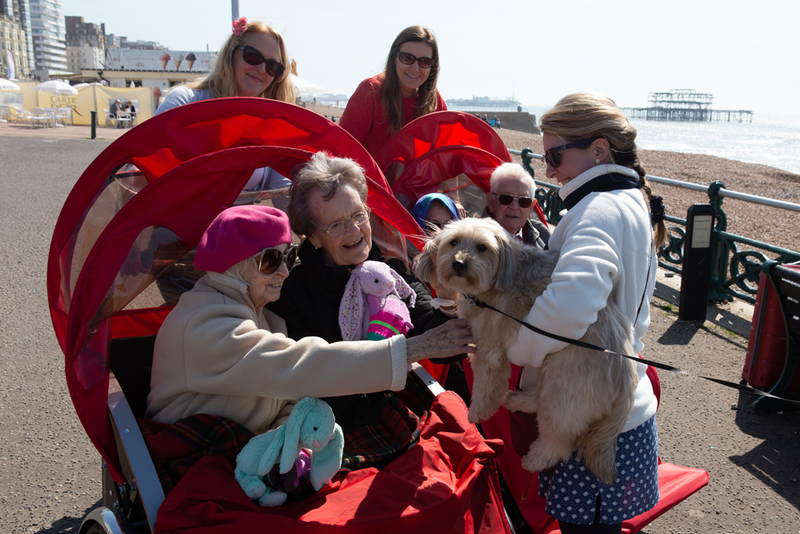 I often see them cycling past the shop, with their gorgeous passengers, some over 80 years old, often with advanced dementia, off for a ride along the seafront! Cheerful and full of smiles, they are clearly enjoying being out in the fresh air and having a bit of an adventure, and without these incredible volunteers this would not be possible. It also presents a wonderful opportunity to stop and have a chat, and enjoy some interaction with passersby including children, who I’ve noticed are often fascinated by these curious looking cycles and love to chat and interact with their elderly occupants. Such a great way for these beautiful older people to still feel part of, and experience, their city. The health benefits of fresh air, wind and sun are well known, and this is an amazing way for volunteers and their passengers to make the most of the outdoors. 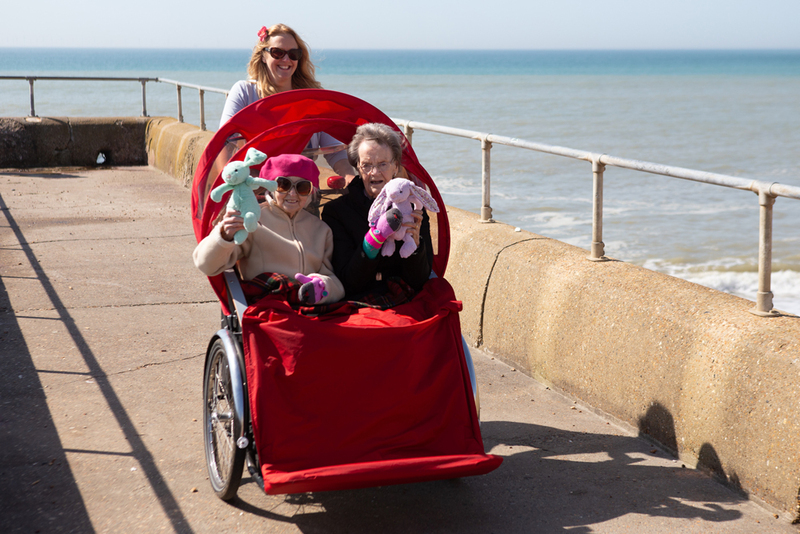 In their own words, Cycling Without Age Brighton & Hove, aim to “take local elder care homes’ residents out on cycle rides to feel the wind in their hair! Most rarely have the chance to enjoy an outdoor adventure otherwise”! Their principles are generosity, slow cycling, storytelling, relationships and community. Why not volunteer to become a pilot? 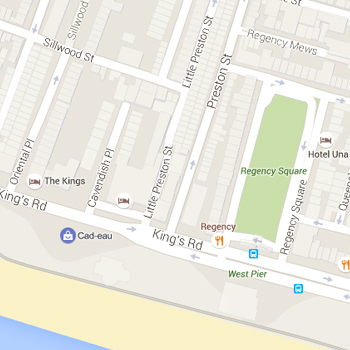 You will be helping to provide a comfortable ride that is fun, fully insured and free to passengers! There is a 50/50 male to female split of cycle pilots and as these fabulous cycles are power assist, you don’t need to be super-sporty! With an ageing population, and more and more elderly people being housed in care homes, this superb charity is setting an example of how we should all be doing something for our local community, particular our senior citizens that can often be forgotten about. We can all do our bit and support this incredible charity by volunteering, or donating to their fund! With a trishaw costing around £7000, not to mention the insurance costs, you can imagine that the financial implications of running an organisation such as this are sizeable! Your donations will be greatly appreciated and you can visit their website cwabrighton.org.uk or give directly HERE! The passengers like nothing better than cuddling up with a soft toy and a snuggly blanket, it’s important to keep warm! And they love to meet new friends on their travels, such as this gorgeous dog! Cycling Without Age is a super important organisation and needs to continue it’s vital work in our city for our residents and they need our HELP! Come on, get involved and donate or volunteer! Find out more on their social media – facebook page, twitter, or instagram!